Up to 20% off trips from Vietnam Adventure Tours. Find 7 tours with discounts, with tour pricing starting from only $61 per day. "The set-up of this tour was different to what I thought it would be, based on previous..."
"Before arriving some doubts arose in my mind. Have I done well by getting a tour..."
"The 3 tour guides were excellent, Johny, Cody and Fa. Their english speaking was..."
"We loved everything. 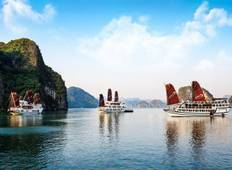 The overnight stop in Halong Bay was particularly good. 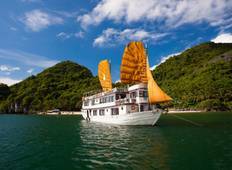 Loved..."
"Our family took the Hanoi and HaLong cruise to Ho Chi Minh 7 days tour. This also..."